Blackwater is one of the most misunderstood companies of our time. 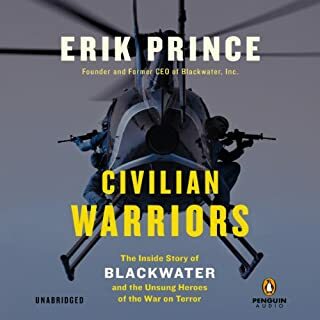 As Erik Prince, its founder and former CEO, writes: "Hundreds of American citizens employed by private military contractors, or PMCs, would lose their lives helping our government wage wars in Afghanistan and Iraq, only to have their memory tarnished by the unfair and/or ignorant depiction of PMCs as profiteers, jackbooted thugs, or worse." Wanted: Volunteers for Project Delta. Will guarantee you a medal. A body bag. Or both. With this call to arms, Charlie Beckwith revolutionized American armed combat. 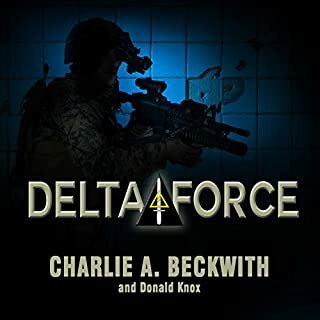 Beckwith's acclaimed memoir tells the story of Delta Force as only its maverick creator could tell it - from the bloody baptism of Vietnam to the top-secret training grounds of North Carolina to political battles in the upper levels of the Pentagon itself. This is the heart-pounding, first-person insider's view of the missions that made Delta Force legendary. Assassination has been dramatized by literature and politicized by infamous murders throughout history, and for Robert Baer, one of the most accomplished agents to ever work for the CIA, it's a source of endless fascination, speculation, and intrigue. Over several decades, Baer served as an operative, from Iraq to New Delhi and beyond; notably, his career was the model for the acclaimed movie Syriana. By: Charles Faint, Leo Jenkins, Marty Skovlund Jr. In Twilight Warriors, award-winning foreign correspondent James Kitfield introduces us to the tight-knit brotherhood that strives to keep the United States safe from the dimly understood threats it now faces. Together these men have broken down the boundaries between their respective agencies to engineer a network-centric way of fighting using a seamless web of intelligence analysts, information networks, FBI forensics experts, and Special Forces units to take the fight to America's enemies as never before. For the U.S. Navy's elite team of SEALs, the mission seemed straightforward enough: to take control of a towering, 10,240-foot mountain peak called Takur Ghar, a key post in their plan to smash Taliban al Qaeda in eastern Afghanistan. They are elite warriors who run highly dangerous missions deep inside foreign countries on the brink of war. Jamie Smith knows these men well. Not only is he one of them, but he was the founding director of one of the most successful global, private military contracting firms. For the first time, he breaks his silence, pulling back the curtain to reveal in raw, intimate terms exactly what paramilitary spies and operators like him do when the government cannot act or take public responsibility. 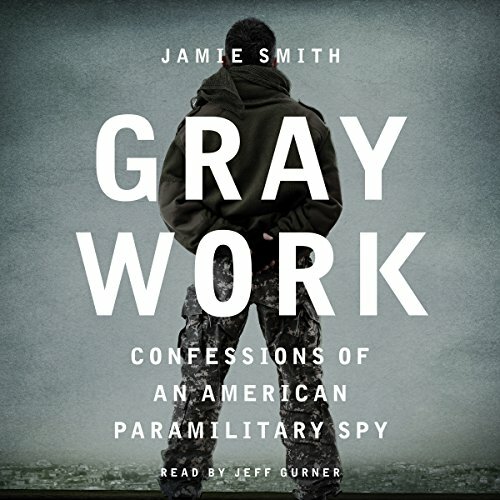 Combining the thrilling narrative of an international spy thriller with bracing boots-on-the-ground realism, Gray Work follows Smith through grinding CIA training and his career as an operative, his work with Blackwater Security, and the creation of his own successful company. Here is the grit and gristle of modern warfare, from espionage and assassinations, rescues and renditions; from the dark corners of the Arab Spring and the fall of Qadhafi to black ops; from Syria to Libya, Iraq, Afghanistan, Pakistan, Iran, and beyond. Smith has fought terrorists and won; he was ambushed on a mission in Pakistan and took a bullet through his shoulder and to his back and subsequently survived a grueling mountain trek that almost cost him his life. As founding director of Blackwater Security and then as head of his own company, Smith has helped shape a decade of war. His book powerfully illustrates how the men who serve in this gray area between the public and private worlds are transforming the art and science of modern warfare. I started listening to this book and after chapter one I could tell things didn't add up. The further I got in the book the more full of crap the author seemed to be. I couldn't stomach the whole book, and decided to look into this guy. Low and behold he is full of crap ever his co-workers said so. While the author may have had a few close calls in his career, he makes himself out to be a super spy. Consider this book fiction with a few stories embellished. wasted time comes off as a know it all that's more like a wannabe. Not a good edit and poor sound quality. It's all fake. Just Google the author, that will tell you all you need to know. Read about the author prior to buying this book, it puts a whole other perspective on the stories it contains. After I finished, I read more about the author and learned that many sources claim that his history is fabricated. If you are looking for an interesting story it was. Just really disappointed to learn that it's potentially false. I knew the credibility of the Author was in question however, I thought maybe it would be a good book if I thought of it as fiction. I was wrong. Its terrible and, the author is so arrogant. listen to yhe reviewers and do not buy. I found out about half way that most of the stories in this book are fabricated. See Outside magazine for a thorough run down. I should have googled the author before buying the book. It's basically fiction. He is as right wing as they come and is totally delusional. The book was winding me up with the cobblers he was telling, it got to the point I actually found it funny in a perverse way. At one point he mentions something in the Quran and says "they actually believe this stuff" then he quotes the Bible in the next paragraph. He actually believes that stuff, I'd say you couldn't make it up but he did. He scams a retired couple of 12mil and gives that a paragraph. I think he's got some sort of disorder. Google the author before purchase!! Seems likely that this is full of lies. A shame as its a great story! jamie smith seems to see himself as john wayne!!! What disappointed you about Gray Work? Not a lot to say really. The story is extremely well narrated. Initially I was extremely taken in by the supposedly extraordinary exploits of this so called paramilitary spy. I decided to do a little digging to find more about the man behind the book and what I found was that this man has no credibility from the security services whatsoever and the majority, if not all, of his claims are unfounded. 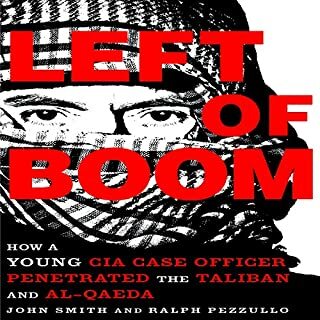 Although the CIA can never confirm or deny his involvement within their ranks a number of senior ex CIA operatives have spoken out at his claims and fundamentally dismiss his claims. This book must be taken as a fictional book and not fact. 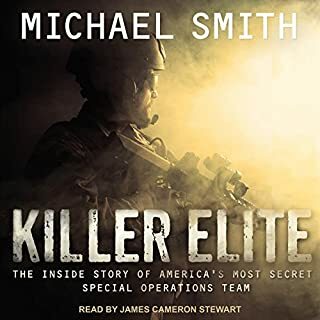 I have read a lot of books like this and Jamie Smith seems to know his stuff however my suspicions were first aroused by his exceptional memory of events which happened 15 years ago. His recollection of conversations and descriptive details are in line with the best fictional spy writers and will easily drag you into his world. I advise you to do a little research on Jamie Smith before you decide to read this book as it turns out he is a habitual liar and a bit of a con man. please read https://www.outsideonline/1926591/spy-who-scammed-us. If you can get past this then it is a very good FICTIONAL book. An Eye Opening account to what really happens in this dark and secretive world of operators etc. insight into the dark world of the intelligence industry. Great operational detail and training explained by an experienced operator. Really looking forward to listening to this, but after 5hrs of boring repetitive stories, I've had to give in and move on. Such a shame. Normally I would never do this but it's putting me off listening to books. Not worth it even if free. This would of been very difficult to write as he would only be able to type with one hand as the other was very busy down his pants. Very hard to listen to as any chance of a story pales in comparison to this guy talking himself up so high i though it was written by Steven Segal. Got halfway through this book and thought this is a lot of information that you normally wouldn't expect someone who has done this type of work to be writing about, so I decided to google the author. I would recommend anyone looking at reading this book to do the same before purchasing. I think this book would be better to be marketed in the fantasy section. 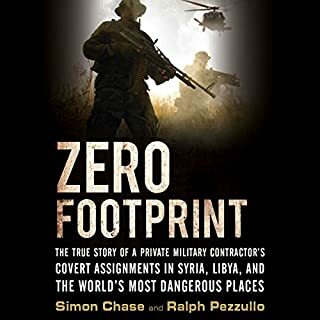 This is the memoir of a major player in the defence and security contractor business (what once world have been termed mercenaries) over the past 20 years. It provides a fascinating glimpse into the shadowy and ambiguous world of contemporary geopolitical paramilitary operations and "gray work". This guy is ideologically an unreserved 'America first' type, but that comes with the terrain. 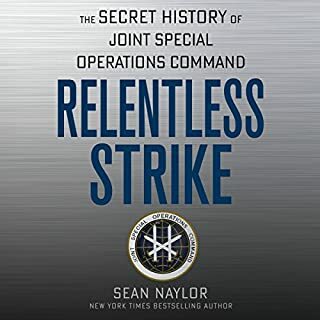 Apart from that, the author's authorial voice strays from time to time from that of neutral narrator to letting his domestic political views come through strongly; but mostly this book provides a riveting first person account of on-the-ground operations as exciting as any novel or movie. Gray Work is an incredible page turner and what can only be described as a great work of fiction at it best. I have no doubt that this started out as a &quot;true story&quot; but it loses itself along the way and becomes a tale of bravado, braggadocio, grandiosity and pretention. If you are looking for a true expose of spys and espionage this is not the book. However if you are looking for a page turning thriller, James Bond style, then this is the book for you. Found the book very interesting but found it quite partisan and democrat and Obama bashing. this book gives a a very credible insight into intelligence and private security. i had a 15 hr drive and this book kept hooked for most of the drive. Would you listen to Gray Work again? Why? Gray Work had me laughing in the first 15 minutes. This guy writes like someone who has read a few Matthew Reilly/Frederick Forsyth novels and thought he would write his own. The sad truth is, Mr Smith is probably a compulsive liar and allegedly a convicted fraudster. This book is filled with so much obvious B.S. it is almost unreadable. His descriptions of under cover "tradecraft" are laughable. Then there are silly acronyms galore; NBH (New Building Headquarters) and PIG (Person In disGuise), OK I made up that last one, but they are all on this level of absurdity. All this can't distract you from the fact the story just doesn't make much sense. For example, he is meant to be a high level CIA "operative", then goes on to describe how he manned a photocopier for weeks on end. But hey, what would I know? With positive reviews on Amazon by "Ms. Shopalot" (Mr Smith's wife?) and "Col. Richard C. Roten" (yep, that's his Amazon username!) you are assured of an authentic swashbuckling tale. For those interested in knowing more about the few who support military and other government operations - from the shadows, this is for you. Narrated by a clear, and apt voice the listener is compelled to keep listening. For those who already have a good idea about what goes on "behind the scenes", this is also an excellent Audible. hard to follow. monotonous narrator. it helped me get to sleep at night. American crap.